San Francisco City Hall has numerous lights that add to the ambience of the entire building. 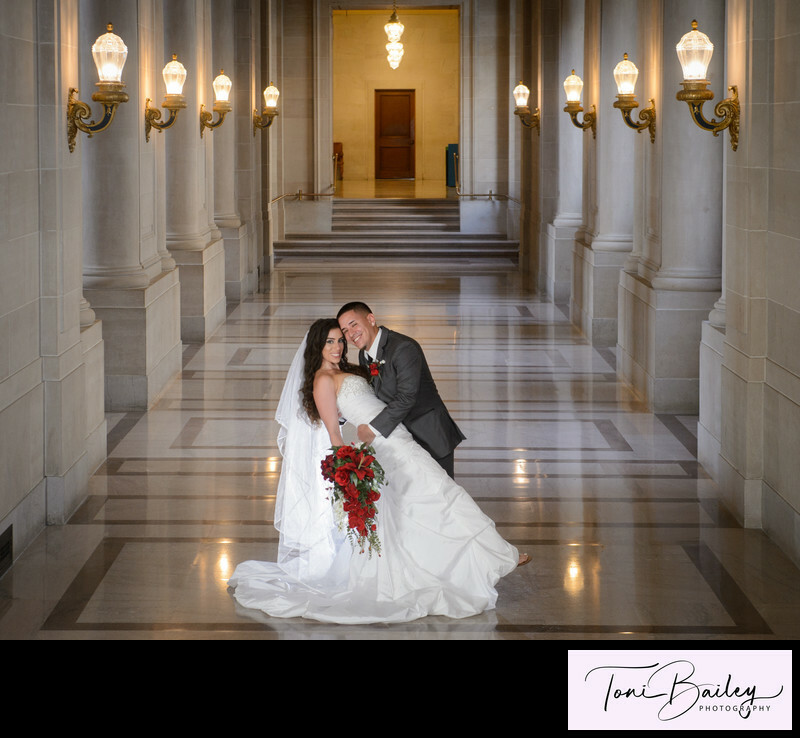 On the second floor the row of lights create a romantic feel here in this wedding photograph. During the evening there are more reflections on the floor, adding a special glow to the inside of City Hall.